I had the pleasure to attend my second Palm Springs Int'l Film Festival Awards Gala last night, January 2nd. 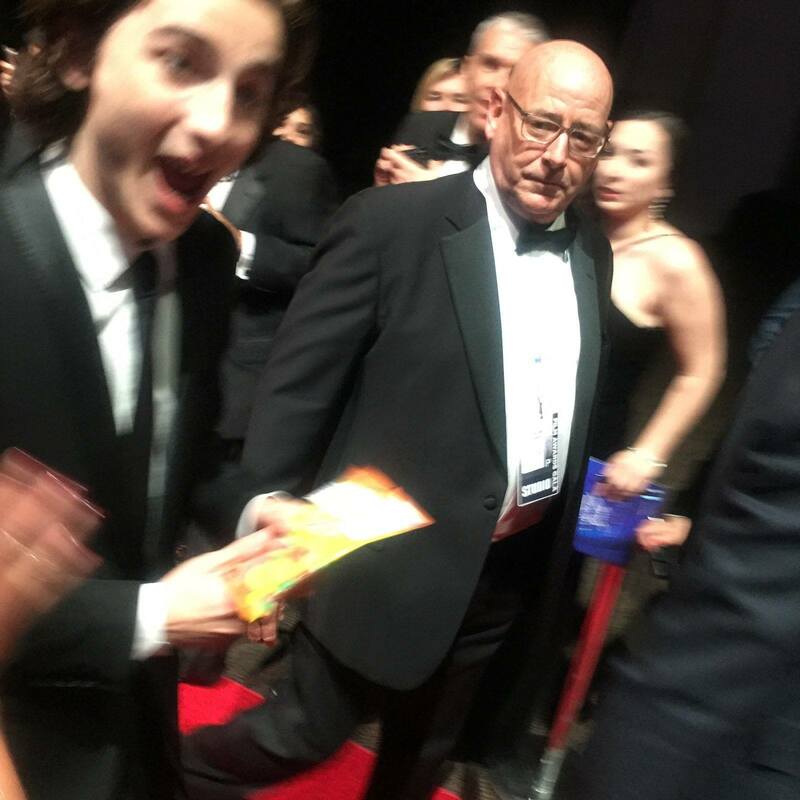 And the primary reason for my attending was to witness Timothée Chalamet receiving his Rising Star - Male award, an honor he definitely deserved due to his critically acclaimed performance in Call Me By Your Name. I have seen Timmy in a few performances in the past, namely in Interstellar, but he was just another cute young actor in supporting roles. 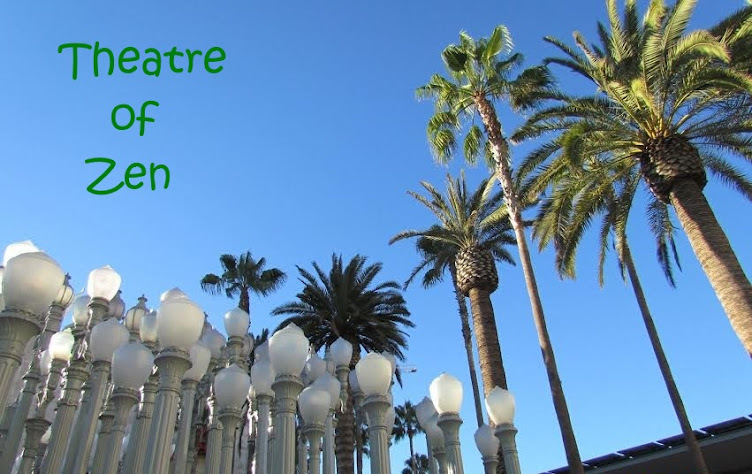 However, all that changed on Monday, November 27th, when I attended a special LA Times screening of Call Me By Your Name in Sherman Oaks. CA. I not only had my mind blown by this beautiful film, but there was a Q&A with Luca, Armie, Michael and Timothée. I was so impressed with Timmy that I started to pay close attention to his social media and his established fans on the internet. Needless to say, I've learned a lot about him and the film in a short amount of time. And now just five weeks later, I'm mesmerized by this actor and I'm rooting for him all the way to win the Oscar. And speaking of that, since many of you are just now becoming familiar with my blog, I have been following the Oscars very closely since the early 90s, and this coming awards season, I will be writing specifically covering the Best Actor race. But more on this tenuous situation later. 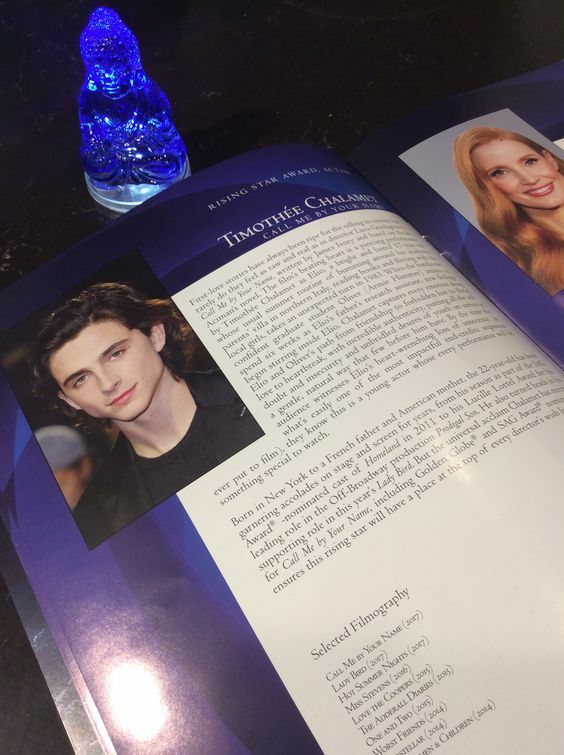 A few days after my first viewing of CMBYN, I received an email from the PS Film Festival with an update about the honorees for this year's gala. When I saw that Timmy was going to be honored, I bought one of the last remaining tickets to attend. 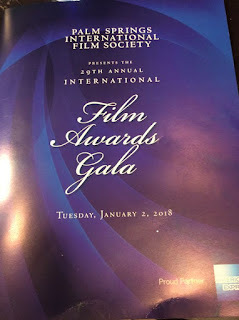 So fast forward to last night, I attended the gala and had a seat at a table near the back, but it was a prime spot in the back because nearly everyone passed by my table to go to the bar or restrooms/lobby. So I saw loads of celebrities and important industry people pass by me. And saw Armie Hammer and his wife Elizabeth pass by a few times. And only during their second trip past me, as Elizabeth was going back to her table, that's when I noticed where she was sitting, just 7 tables away from me. And there was Timothée sitting there, laughing and talking to others at the table. It would have been inappropriate to go to the table to bother him at that time, so I figured once the event ended, I would try to go over and get a picture. But alas, not 10 minutes later, their table got up and left to go to the Parker Hotel after party. But since I knew where he was sitting, I figured I could go there and see if I could take a picture of his name plate. However, as I got there, his table did not have name cards, but I knew the seat he sat at, and he left his program on the floor next to his chair, and the bottom edge of the program is dented a little due to him shifting his chair against the program while it was on the floor. 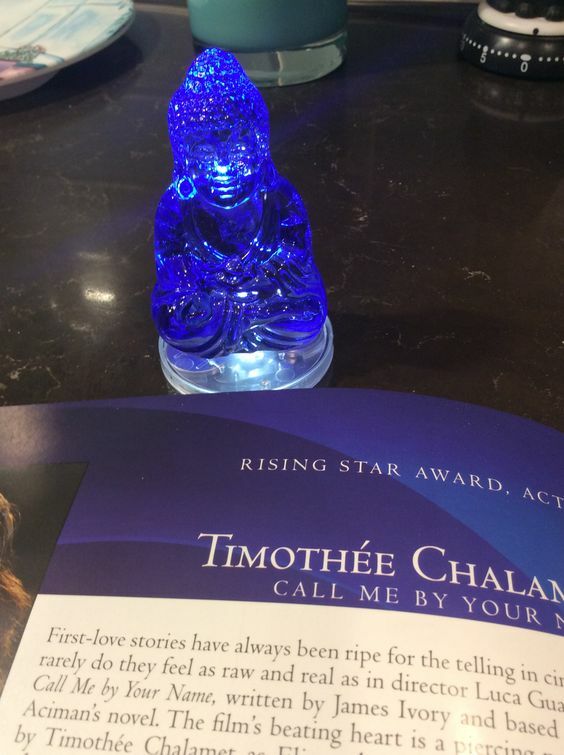 Timmy also left his crystal Buddha that all guests got. So, I nabbed those two things and figured they would make a great giveaway contest gift to a rabid Chalamet Cheerleader. Here is what the program and Buddha figurine look like. In good condition, Timmy's chair crinkled it. The Swarovski blue Buddha figurine Timmy left behind. To enter this contest giveaway, respond to this tweet with a number between 1300 to 2000 (hint, it's the table number I sat at) through Sunday, Jan 7th at 9pm EST . It's like a digital raffle, it's the best way to find the winner who gets closest to the table number. The winner will be announced on Monday, Jan 8th. Contest is limited to US shipping address. Lastly, here is a video of me on the red carpet. You won't see me, but you'll hear me. I hesitated to share this because I sound like an idiot. Everyone is positioning themselves to get Timmy's pic and I'm trying ask one of those ladies to get a picture of me giving Timmy that little bag of candy peaches. Mission accomplished (see first image at top of article). In closing, keep an eye on this blog as I'll be analyzing the Best Actor Oscar race this season in support of Timothée. 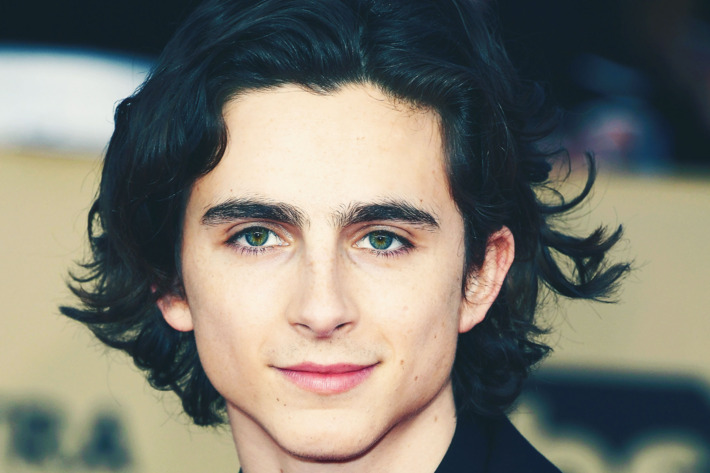 He's up against a so-called 'lock' and, it's my belief that although it's a tight race, and a lot of people want to be lazy and give the Oscar to the more seasoned Actor, I think with Timothée's beautiful work, and the great PR he's getting from winning prestigious critics awards, he can turn the long established tide of age discrimination and bias against actors under the age of 30.